If pipes or cables penetrate the airtightness layer, they too must be securely sealed. The most suitable means of doing this is with airtightness grommets made from EPDM. This flexible material allows a tight fit, and KAFLEX allows for a secure feed-through for cables and pipes. KAFLEX cable grommets feature an integrated adhesive with a release paper for ease of application. For an airtight seal around pipes and cables which pass through the Intello Plus or DB+ membrane. 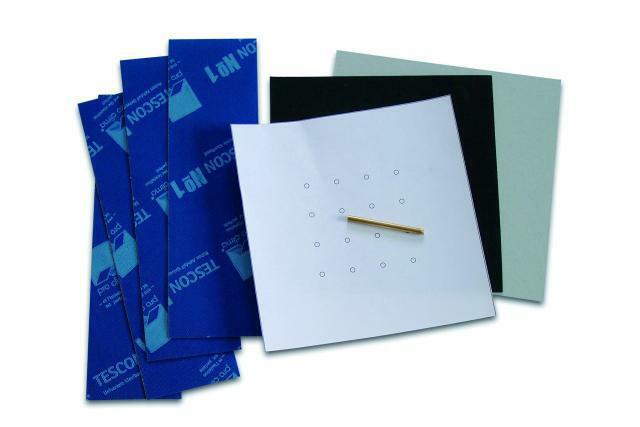 They are made of non-ageing elastic EPDM rubber in a high adhesive square. I am interested in find out more about the product "pro clima Kaflex Cable Grommets", could you please contact me.